Mao Zedong, the Chinese revolutionary leader, is reported to have said that "every journey of a thousand miles starts with the first step". After the general election result in the United Kingdom, the Brexit journey is likely to be long and winding as the island of Ireland takes centre stage again in shaping the future of the UK and its other European neighbours. The UK government will now seek to rely on the support of the DUP to undertake and manage its political programme. Alongside the loss of seats by the SNP, the potential break-up of Britain is on hold. Negotiations with the EU are beginning, but the elephant in the room will be the size of the budgetary repayments after the UK formally leaves the EU. Compensation for the loss of EU funding to sustain economic activities and social programmes in the North will then be the central narrative of the DUP as it seeks to benefit from any confidence and supply arrangements. The mainstream English media lamentably demonstrated its ignorance and indifference about Irish affairs during and immediately after the general election. The other ignorance shared by most British commentators is about modern international trade. 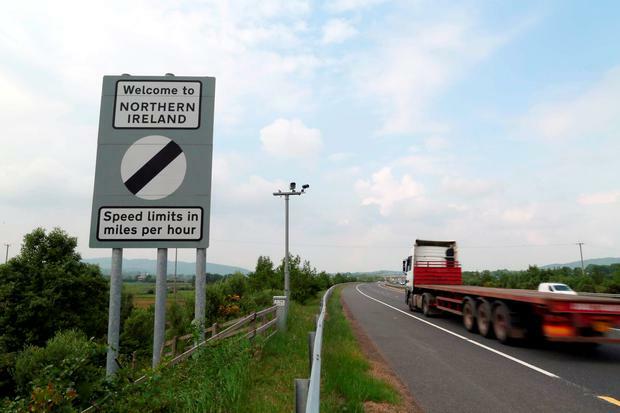 The latter is pertinent to addressing the Irish Border question where complex issues come together beyond simple questions about Border posts and uniformed customs officials. Modern international trade is based upon Global Value Chains (GVCs) - the full range of activities that are required to bring a product from its conception, production and distribution to the final consumer. Underlying GVCs are a set of supply chains within particular firms that crisscross national boundaries. As a result, about 60pc of EU trade is within, and not between, firms. In regard to the Border question, the effects of uncoupling of GVCs in the crucial agri-food sector will be doubly felt. The North's largest trade export partner is the EU, followed by the UK and then Ireland. An example of a GVC is that of a well-known brand of Irish cheese. Unpasteurised milk is produced in the North and transported across the Border where it is processed into cheese. This product is then sent to a plant in Liverpool where it is cut and brand-packaged. The packaged cheese is finally dispatched to Ireland where it is sold in retail outlets. There is a high degree of cross-Border co-operation that creates significant spillovers in terms of demand for machinery, seed and fertilisers, business and financial services, research and development, alongside attracting significant Foreign Direct Investment (FDI). The impact of Brexit on this sector will be significant, especially in two essentially rural economies where the Border question is fundamentally irrelevant. As a senior figure from Agri-food Strategy Board stated: "Irish cows don't respect borders". Agri-food in the North receives about £365m (€415m) a year of support from EU funding programmes, a third of the estimated annual EU support to the North that would be lost beyond Brexit. Given the crucial role of GVCs linked to the EU, the damage to the North and Ireland economies would be significant. The obvious conclusion is that in the world beyond Brexit, a special deal for the North and Ireland will be needed - an argument made in the recent book 'The Political Economy of Brexit' edited by David Bailey and myself. Moreover, if devolved corporation tax from 2018 is not to have damaging economic effects, then a much larger compensatory Barnett Formula funding settlement for the North will be needed and demanded by the DUP. The can of worms is if there is a special deal for the North, then why not for Scotland? More importantly, the restoration of power sharing in the North is under threat if the DUP's position is strengthened by its deal with the UK government. We seem to be back in the realm of unknown unknowns, as we were the day after the UK Referendum. It is becoming apparent that the North is better off remaining in the EU, with the result that we may be entering a world beyond Brexit with no Brexit, given the crucial relationship with Ireland. There is also the possibility of new constitutional and territorial settlement for the whole of the island of Ireland. These complex issues will be explored in detail in a debate called 'Brexit and beyond', organised by The Open University in Ireland, taking place at the National Library of Ireland in Dublin on June 27.